Fun & Furry Musicians Arrive in Chicagoland on May 1! ROSEMONT, Ill., MERRILLVILLE, Ind. & JOLIET, Ill. – Mark your calendar for a musical event like no other—monsters making music! Elmo, Abby Cadabby, Big Bird and all their Sesame Street friends are taking to the stage to share their love of music in Sesame Street Live “Elmo Makes Music” at Akoo Theatre from Wednesday, May 1 through Sunday, May 5, the Star Plaza Theatre from Wednesday, May 8 through Sunday, May 12 and the Rialto Square Theatre Tuesday, May 14 through Wednesday, May 15. Tickets for all 21 performances are on sale now! Jenny, an enthusiastic new music teacher, arrives on Sesame Street only to discover that her instruments are missing. Jenny’s new Muppet friends quickly come to the rescue and discover ‘instruments’ they never knew existed…rubber duckies, trash can lids and even cookie jars. Elmo, Abby Cadabby and friends teach children that everyone can make and enjoy beautiful music together. Friday May 3 10:30 a.m. & 7 p.m.
Saturday May 4 10:30 a.m., 2 p.m. & 5:30 p.m.
Sunday May 5 1 p.m. & 4:30 p.m.
$15, $25 and $30. A limited number of $40 Gold Circle seats and $90 Sunny Seats** are also available. *Opening Night, all seats (excluding Gold Circle and Sunny Seats) are $15. A facility fee of $2 will be added to all ticket prices. Additional fees and special offers may apply. **Special $90 Sunny Seat packages are available at all shows. Sunny Seats feature VIP seats and a pre-show Meet & Greet with two Sesame Street Live friends. **** Join WTTW11 on Wednesday, May 1 at 7 p.m. Call 773-588-1111 for ticket prices and more information. For more information, call 847-671-5100. To charge tickets by phone, please call Ticketmaster at 800-745-3000. Tickets may also be purchased online at www.ticketmaster.com. 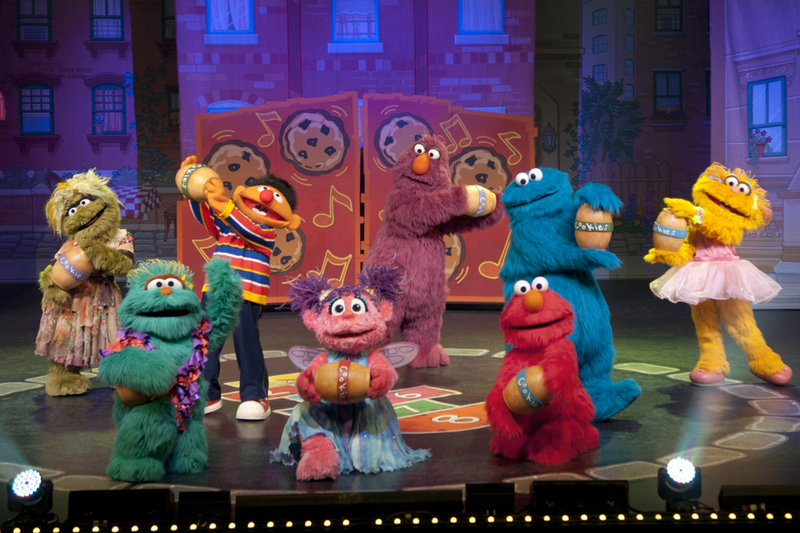 For information online, please visit www.sesamestreetlive.com. Become a fan of Sesame Street Live on Facebook. Thursday May 9 10:30 a.m. & 7 p.m.
Friday May 10 10:30 a.m. & 7 p.m.
Saturday May 11 1 p.m. & 4:30 p.m.
Sunday May 12 1 p.m. & 4:30 p.m.
$13, $18 and $28. A limited number of $35 Gold Circle seats and $65 Sunny Seats** are also available. *Opening Night, all seats (excluding Gold Circle and Sunny Seats) are $13. A facility fee of $2 will be added to all ticket prices. Additional fees and special offers may apply. **Special $65 Sunny Seat packages are available at all shows. Sunny Seats feature VIP seats and a pre-show Meet & Greet with two Sesame Street Live friends. For more information or to charge tickets by phone, please call Ticketmaster at 800-745-3000. Tickets may also be purchased online at www.ticketmaster.com. For information online, please visitwww.sesamestreetlive.com. Become a fan of Sesame Street Live on Facebook. Wednesday May 15 10:30 a.m. & 7 p.m.
$10, $13 and $17. A limited number of $27 Gold Circle seats and $52 Sunny Seats* are also available. A facility fee of $3 will be added to all ticket prices. Additional fees and special offers may apply. *Special $52 Sunny Seat packages are available at all shows. Sunny Seats feature VIP seats and a pre-show Meet & Greet with two Sesame Street Live friends. For more information, call 815-726-6600. To charge tickets by phone, please call Ticketmaster at 800-745-3000. Tickets may also be purchased online at www.ticketmaster.com. 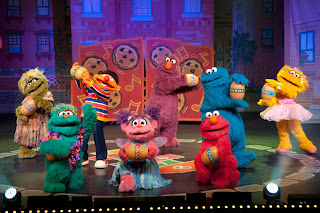 For information online, please visit www.sesamestreetlive.com. Become a fan of Sesame Street Live on Facebook.